Cape Town - Banyana Banyana head coach Vera Pauw has confirmed her squad that will face Botswana in an All Africa Games qualifier. The match takes place on Friday, 20 March 2015. Kick-off is at 6pm. 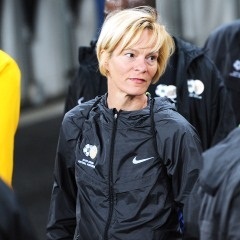 Pauw has retained the bulk of the team that returned from the Cyprus Women’s Cup on Friday. They will return to South Africa on Saturday, 21 March. The second leg will be played on the weekend of 11/12 April. Goalkeepers: Roxanne Barker (THOR/KA, Iceland), Kaylin Swart (AIB Business College, USA). Strikers: Shiwe Nongwanya (Bloemfontein Celtic Ladies, Bloemfontein), Jermaine Seoposenwe (Samford University, USA), Portia Modise (Croesus FC, Johannesburg), Sanah Mollo (Mamelodi Sundowns FC, Johannesburg).